From Will the Modernist: Shakespeare and the European Historical Avant-Gardes, ed. Giovanni Cianci and Caroline Patey (London: Peter Lang, 2014), 107-24. People look at [Shakespeare] in amazement almost as a spectacle of nature. They do not have the feeling that this brings them into contact with a great human being. Rather with a phenomenon. It seems to me that [Shakespeare’s] plays are like enormous sketches, not paintings; they are dashed off by one who could, so to speak, permit himself everything. And I understand how one can admire this & call it the highest art, but I don’t like it. Abstract: Wittgenstein’s oddly negative assessment of Shakespeare has caused consternation among literary critics. 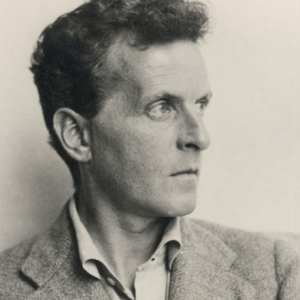 From F. R. Leavis to the present, English critics have often assumed that Wittgenstein was simply a bad judge of poetry and that he knew little about the literature of his adopted country. Or again, Wittgenstein stands accused, by critics like George Steiner, of demanding clear ethical values from literature – values Shakespeare, who never quite took sides with particular characters, did not proclaim. This essay argues that such criticisms fail to understand Wittgenstein’s own context as an Austrian writer, brought up on the German classics of the 18th C and 19th C centuries. It s true that this “classical” literature, coming two centuries later than Shakespeare, was much more subjective, more personal than Elizabethan literature, and that Wittgenstein was accustomed to a psychology not characteristic of Shakespeare. It is the demand for realism, for characters with whom the reader can identify that makes Shakespeare unsatisfactory to Wittgenstein. Nevertheless, Wittgenstein’s fugitive remarks about Shakespeare show great acumen and insight; he understood the Tragedies – for example, King Lear, much better than one might conclude from some of his strictures. Despite the gulf between the two writers, Shakespeare’s “dreamwork,” as Wittgenstein calls it, became a model for the philosopher’s own writing. But where does Shakespeare fit into this scheme of things? To answer this difficult question we must begin with Wittgenstein’s own context – the culture within which he operated. When Leavis remarks that the Wittgenstein he knew at Cambridge seemed to have little interest in literature, he means, of course, English literature.10 But then Wittgenstein was not English: he grew up in Vienna on the German classics – specifically Goethe and Schiller, followed by the nineteenth-century lyric poets from Heinrich Heine to Eduard Mörike and fiction writers from Heinrich von Kleist to Gottfried Keller. More important, for a Viennese of Wittgenstein’s generation, the word drama signified first and foremost the prolific Austrian playwright Franz Grillparzer, whose now classical romantic dramas, like the trilogy The Golden Fleece (1821), are still produced regularly at Vienna’s Burgtheater, along with the plays of Johann Nestroy and Ferdinand Raimund. When my own family emigrated to New York from Nazi Austria in 1938, among the few books we managed to bring with us were little paperback volumes of Raimund – for example, Der Bauer als Millionär (1830) and Der Verschwender (The Wastrel 1832); I still know these Zaubermärchen plays by heart. Wittgenstein was also quite familiar with such of his Viennese contemporaries as Arthur Schnitzler and Karl Kraus (he frequently refers to the latter, often with asperity),11 Rainer Marie Rilke, and especially the Expressionist poète maudit Georg Trakl. 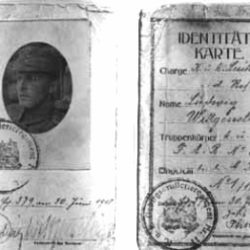 The latter’s suicide on the Eastern Front in 1914 hit Wittgenstein, who had never met him but had endorsed his poetry, especially hard. “Wie traurig. Wie traurig!! !”, he wrote in his Notebook.12 These are hardly the words of a logician who doesn’t trust the poetic imagination, as Steiner and others imply. At the same time – and here is where things get complicated – it is important to understand that Wittgenstein’s education was not the typical one of the Austrian or German intellectual either. Although, like his siblings, he had received extensive musical training, he was sent, at fourteen, not to the Gymnasium in Vienna, but to the more technical and less academic Realschule in Linz, where, as is well known, Hitler was briefly his contemporary. Thus he was not exposed to the Greek and Latin classics; on the contrary, after leaving Linz in 1906, he studied mechanical engineering at the Technische Hochschule in Charlottenburg, Berlin and two years later moved on to Manchester to further his studies in aeronautics. It was here in 1908 that Wittgenstein first read Bertrand Russell’s Principia Mathematica and decided to go to Cambridge to study philosophy with Russell. The latter regularly referred to his new pupil as “my German engineer” (Monk 1990: 39), while Lytton Strachey, considering Wittgenstein for possible membership in the exclusive Apostles (a membership Wittgenstein later refused), sarcastically dubbed him “Herr Sinckel-Winckel” (Monk 1990: 48–49).Wittgenstein was to have numerous close friends, lovers, and disciples at Cambridge, both in the pre-War years, and after 1930, when he returned as a university don. But he remained always an outsider, aloof from Cambridge concerns and especially hostile to Bloomsbury, whose ethical and aesthetic values he found wholly alien. (Monk 1990: 255–57). The excessive vehemence of these pronouncements is no doubt, at least in part, a function of class and nationality: as a member of one of the wealthiest, most elegant families of Vienna – a family inhabiting what was justly designated a palace – Wittgenstein no doubt felt entitled to an opinion, especially when it came to the performance of music. But he also knew that such personal and emotional opinions had no place in philosophical discourse, where, as Wittgenstein makes especially clear in his Remarks on Frazer’s Golden Bough, in assessing a ‘primitive’ culture, a religious ritual, or an art form, one cannot explain a given practice (Gebrauch); “one can only describe and say this is what human life is like” (GB 1993: 121). It is difficult to believe that the term Classics can be so differently defined, but whereas for an English primary and secondary school student, the national classic is Shakespeare, for the German-speaking equivalent, as I can attest, the classics came into being a full two centuries later. Indeed, it was not till the 1830s, when August Schlegel began his great translation of the tragedies, that Shakespeare was introduced into the German-speaking world: the belatedness of this entry into the canon had the effect of producing a wave of bardolatry that was to know no bounds: Shakespeare was made over as the great Germanic Romantic hero. Even Adolf Hitler, a recent study of the Führer’s library has revealed, adored Shakespeare, preferring him to Goethe and Schiller (Ryback 2010: xi-xiii). Perhaps it was the nineteenth-century German cult of Shakespeare as natural genius, a mysterious and anonymous creator, above and beyond the characters he had invented, that alienated Wittgenstein. “I think,” he wrote in 1950, “that in order to enjoy a poet one must also be fond of the culture to which he belongs. If it leaves you feeling indifferent or contrary, your admiration cools” (CV 1994: 96). Goethe, in contrast to Shakespeare, belonged to a modern age Wittgenstein could understand: in his historical or myth-based tragedies, from Götz von Berlichingen to Iphigenie to Faust, as in his novels from Werther to Die Wahlverwandschaften (Elective Affinities), and even in his botanical study The Metamorphosis of Plants (which Wittgenstein especially admired) – Goethe had an essentially lyric sensibility. However complex, ironic, or multivoiced a given Goethe text, the poet is always present in the work. When, for example, Wittgenstein cites Faust’s recognition (I, 3, l. 63) that “Am Anfang war die Tat” (‘In the beginning was the deed’), the implication is that the epiphany is not only Faust’s but that of Goethe himself, at his most resistant to Christianity. For Wittgenstein, poetry is understood as the expression of an individual and unique sensibility. 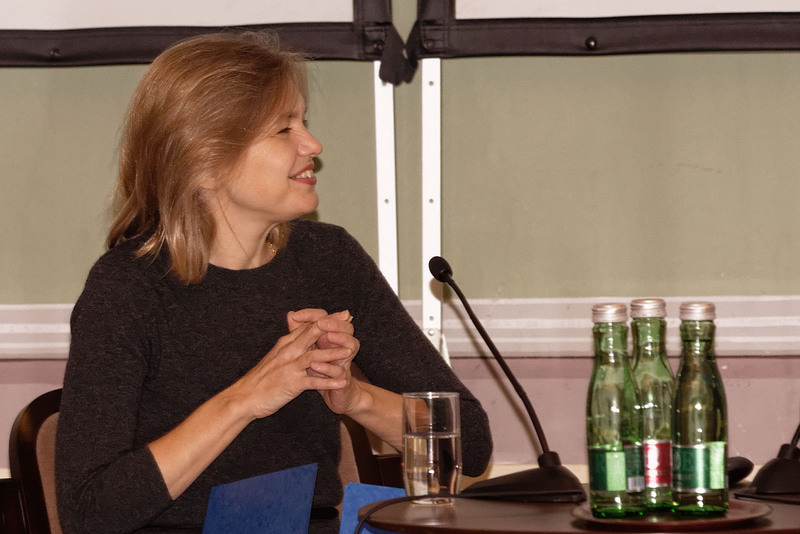 From Goethe and Schiller to Trakl and Kraus, poets were seen as specially endowed individuals. The same holds true, for that matter, for German philosophers from Kant to Schopenhauer and Nietzsche. It is in this German Romantic-Modernist context that we must understand Wittgenstein’s response to Shakespeare. The famous aphorism from the Tractatus “The limits of my language mean the limits of my world” (5.6), is, after all, a two-edged sword: on the one hand, it pinpoints Wittgenstein’s central conviction that there are no thoughts prior to their embodiment in language, that “language is not contiguous to anything else” (LWL 1980: 112). On the other, the reference is to ‘my’ world, to the personal reference of even the most commonly played and seemingly ubiquitous language game. And ‘my’ world, as Wittgenstein would have been the first to admit, was one of profound exile. 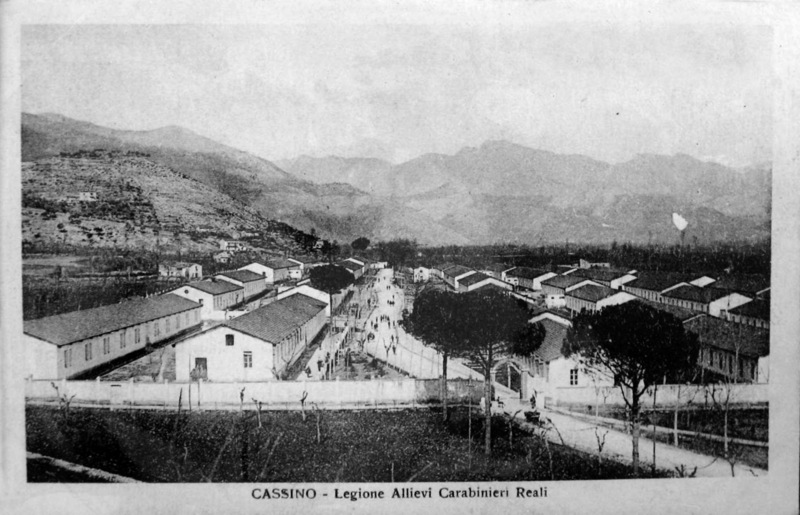 Having made the decision to teach philosophy at Cambridge in 1929 when he was forty, Wittgenstein could never quite reconcile himself to English habits and customs and was soon finding ways of distancing himself from Cambridge life: the failed plan to become a worker in the Soviet Union (1935–36) was followed by less ambitious escapes to Norway, Wales, and, in his last years, to Ireland. “If you ever live amongst foreign people for any length of time,” he wrote his friend Frank Ramsay shortly after arriving in Cambridge in 1929, “& be dependent on them you will understand my difficulty” (CC 1995: 228). “In my room,” he wrote in his diary of 1930, “I feel not only alone but exiled [exiliert]” (Klagge 2011: 56). In April 1947, “Cambridge grows more hateful to me. The disintegrating and putrefying English civilization.” And a few months later, “I feel myself to be an alien [fremd / Fremdling] in the world” (Monk 1990: 516). Such histrionic statements may be taken with a grain of salt: mercurial as Wittgenstein was, there were other moments when he felt great warmth for his Cambridge students and local friends. It was Wittgenstein, after all, who remarked in his 1916 diary, written during World War I, “that we cannot defeat England seems certain. The English – the best race in the world – cannot lose!” (Perloff 1996: 26). In 1940, at the height of the Blitzkrieg, Wittgenstein confided to his friend Drury that “despite my dislike of many features of English life, now that England is in real danger, I realize how fond I am of her” (Drury 1984: 159). And in 1951, having come back to Cambridge to spend his dying days at the home of his physician Dr. Edward Bevan, his last words to Mrs. Bevan, with whom he had struck up a great friendship, were, “Tell them I’ve had a wonderful life” (Monk 1990: 579). Shakespeare, one might say, shows the dance of human passions. This is a curious and seemingly contradictory statement. The phrase ‘dance of the human passions’ connotes formal structure and ritual – one thinks of W.B. Yeats’s repeated use of dance as an analogy for poetic structure. A dance play, moreover, would certainly be the antithesis of a ‘naturalistic’ drama – say, Ibsen’s A Doll’s House, which Yeats, for one, despised. But – and here’s the catch – naturalism is by definition the depiction of everyday reality, particularly the seamy side of life, recorded objectively – as it were, scientifically. As such, Naturalism as a late nineteenth-century literary movement was a reaction against Romantic idealization – against, for example, the intense subjectivity of Goethe’s Sorrows of Young Werther. Naturalism went hand in hand with objectivity. Such ‘subjective naturalism,’ arranged in paratactic units, may have be alien to the turn-of-the century novel, but it could be said to characterize most Modernist poetry from Pound and William Carlos Williams to Blaise Cendrars and Guillaume Apollinaire, to Brecht and Trakl. In all these instances, the poet is very much in the poem, but the detail is realistic, even documentary in its particulars. Wittgenstein may have thought of himself as being on the side of the great ‘classical’ (read, Romantic) composers like Beethoven and Brahms (as opposed to the ‘worthless’ Mahler or the Schoenberg he simply ignored), but, consciously or not, he was himself a Modernist poet – an introspective realist. As such, Hamlet or Othello or Lear, with their larger-than-life characters presented without authorial intrusion by a creator who stands above and beyond the picture frame, must have seemed too remote to Wittgenstein. “I do not understand [Shakespeare],” he writes in 1946 (CV 1994: 56), and four years later, “I could only stare in wonder at Shakespeare; never do anything with him.” Indeed, “in western culture at least, he stands alone, & so, one can only place him by placing him wrongly” (CV 1994: 95). It is not as though S. portrayed types of people well and were in that respect telling the truth. He is not true to life. But he has such a skilled hand & such an individual brushstroke, that each of his characters looks significant, worth looking at (CV 1994: 96). Shakespeare is not true to life. Here again is the demand for realism coupled with the conviction that the poet should be present in his work, however indirectly or ironically. “Beethoven’s great heart –” remarks Wittgenstein, “no one could say ‚Shakespeare’s great heart.’” (CV 1994: 96). From the perspective of a Modernist writer, this makes good sense. Shakespeare’s plays transcend the personality of their maker, about whom we know almost nothing, and whose greatness is precisely the ability to get inside an astonishingly varied cast of characters, male and female, young and old, princes and clowns – Shylock and Portia, Romeo and Mercutio, Ariel and Caliban. Beethoven, on the other hand, was a figure of human dimensions: his biography was known in great detail and could be related step by step to his string quartets, piano sonatas, and symphonies. His deafness – so terrible a condition for a composer – his various illnesses, his romantic attachments, his response to the events of the day, all these have been closely studied, and Beethoven’s own conversation books reveal his daily life. As in the case of Goethe, life and art seem fully intertwined. Shakespeare the poet, on the other hand, remains wholly elusive. When Wittgenstein declared “I don’t think that Shakespeare can be compared to any other poet” (1950; CV 1994: 95), he meant that in their range and depth, the plays far exceed the conceivable parameters of authorship: rather the poet “sings as a bird sings” (CV 1994: 96). In fact, of course, Shakespeare can and has been compared to his Elizabethan and Jacobean contemporaries from Thomas Kyd to Thomas Middleton, but since Wittgenstein had no knowledge of these dramatists, he could only think in terms of his own tradition and here he found no parallels. The differences to which Kent refers are of course ones of rank: Oswald has willfully ignored the unbridgeable difference between his own ‘lubber’s [grasshopper’s] length’ and the ‘authority’ of the king. Such social stratification is not the issue in the Investigations, but it is also the case that it is difference (between Lear and his daughters, between Cordelia and her sisters, between Lear and Gloucester, Edmund and Edward, Kent and the Fool) that sets the tragedy in motion, beginning with the very first line of the play, in which Kent says to Gloucester, ‘I thought the king had more affected the Duke of Albany than Cornwall.’ In assessing his own sons-in-law, Lear displays a failure in discrimination that, with respect to language, is a major theme of the Investigations. Shakespeare & the dream. A dream is quite false, absurd, cobbled together from different sources, & yet completely true: it makes, in its unique assemblage, a distinct impression. Why? I don’t know. If Shakespeare is as great as he is said to be, then it must be possible to say of him: it’s all false, it makes no sense – & yet it’s all true according to its own laws. Now let us reconsider what Wittgenstein says about Shakespeare and dream. A dream is a “unique combination; it makes an impression,” but we don’t know why. Indeed, it may be “quite false, absurd, assembled from various sources,” but it is, in Wittgenstein’s words, “true according to its own laws.” (CV 1994: 78). Just so, Shakespeare’s dramas ‘create’ their own language and their own world; they are true according to their own laws. The demand for realism, which Wittgenstein took very seriously can, in the case of someone as great as Shakespeare, be set aside in favor of the invention of a language. Suppose we were to regard dream as a kind of game. … There might be a game in which paper figures were put together to form a story, or at any rate were somehow assembled. The materials might be collected and sorted in a scrapbook full of pictures and anecdotes. The child might then take various bits from the scrapbook to put into the construction; and he might take a considerable picture because it had something in it which he wanted and he might include the rest because it was there. (LA 1966: 49–50). This description of the dreamwork as language game immediately recalls Wittgenstein’s account of his own book, the Philosophical Investigations as a kind of scrapbook or ‘album’ – a chain of remarks “travelling criss-cross in every direction over a wide field of thought” (PI 2009: 3). 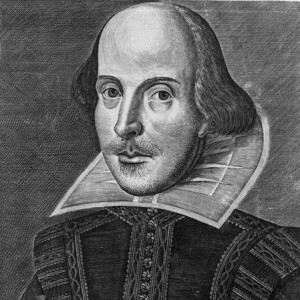 He further refers to his remarks as “a number of sketches of landscapes,” recalling the very phrasing he uses with reference to Shakespeare in the last entry of 1950: “It seems to me that his plays are like enormous sketches, not paintings; they are dashed off by one who could, so to speak, permit himself everything” (1950, CV 1994: 98). Critics have assumed that this comment denigrates Shakespeare – that Wittgenstein takes the Bard to be not quite a Poet, only an “inventor of language.” And indeed, no sooner has Wittgenstein declared that Shakespeare’s plays “are like enormous sketches,” than he feels compelled to add, “I understand how one can admire this & call it the highest art, but I don’t like it” (CV 1994: 98). But then, Wittgenstein didn’t much like his own writing either. The Preface to the Investigations denigrates his own “sketches” as “unsuccessful attempts to weld my results together into … a whole” (PI 2009: 3). “The best that I could write,” he notes apologetically “would never be more than philosophical remarks; my thoughts were soon paralyzed when I tried to force them in one direction against their natural inclination.” Wittgenstein’s self-criticism here echoes his criticism of Shakespeare. But why should that surprise us? It was Wittgenstein, after all, who held that philosophy should really be written only as a form of poetry. And poetry by definition avoids logical linear structure. Shakespeare, let us conclude, was not a congenial poet for Wittgenstein in the sense that the great German lyric poets and playwrights were congenial. Both geography (the distance between England and the German-speaking world) and history (the distance between the Renaissance and the German “classical” age) mitigated against such congeniality. The irony is that despite this gulf, the “asymmetries” of Shakespeare’s “dreamwork” (CV 1994: 98) became a model for Wittgenstein’s own writing, showing him the way to conduct his own practice of “teach[ing] us differences.” Wittgenstein may not have ‘liked’ Shakespeare, but, in the end, he had come to regard the master’s great plays as inextricable from his own dreams. Bloom, Harold: Shakespeare: the Invention of the Human, New York 1998. Bouveresse, Jacques: Wittgenstein Reads Freud: the Myth of the Unconscious, trans. Carol Cosman, Princeton 1995. Drury, M. O’C: Conversations with Wittgenstein (1984), in: Rhees 1984. Harrison, Robert / Orgel, Stephen, On Shakespeare, in: Entitled Opinions, KZSU, Stanford, January 19, 2010 (‘entitled opinions’). Klagge, James C.: Wittgenstein in Exile, Cambridge/London 2011. Leavis, Frank Raymond: Memories of Wittgenstein, in: The Critic as Anti-Philosopher: Essays & Papers, ed. G. Singh, Athens, Georgia 1983. McGuiness, Brian: Wittgenstein: A Life. Young Ludwig (1889–1921), Berkeley 1988. Monk, Ray: Ludwig Wittgenstein. The Duty of Genius, New York 1990. Perloff, Marjorie: Wittgenstein’s Ladder: Poetic Language and the Strangeness of the Ordinary, Chicago 1996. –: But isn’t the same at least the same?’, in: The Literary Wittgenstein, ed. John Gibson and Wolfgang Huemer, London/New York 2004. –: Writing Philosophy as Poetry: Literary Form in Wittgenstein, in: The Oxford Handbook of Wittgenstein, ed. 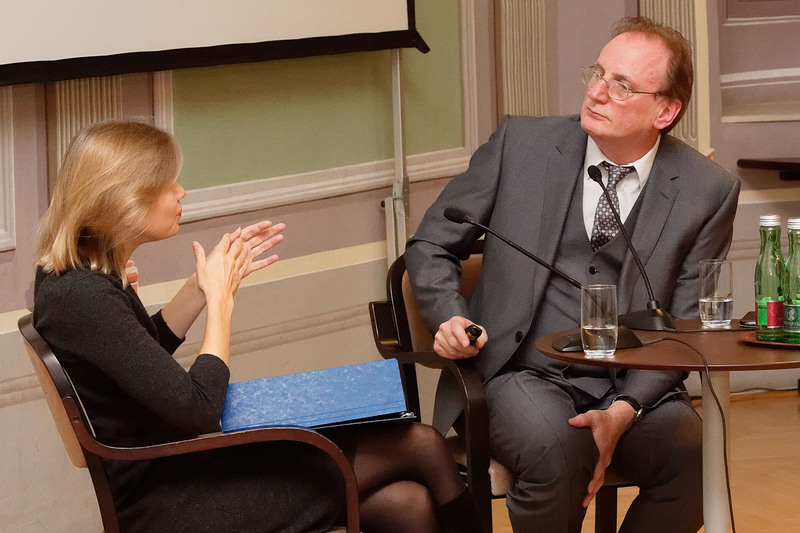 Oskari Kuusela and Marie McGinn, Oxford 2011. –: Towards Conceptualism: The Aesthetic of Kringelbuch #52, in: Kulturen & Werte, ed. Josef Rothhaupt, Berlin/Boston 2013. Rhees, Rush: Recollections of Wittgenstein, Oxford 1984. Ryback, Timothy: Hitler’s Private Library, New York 2010. Steiner, George: A Reading Against Shakespeare, in: Steiner, George: No Passion Spent: Essays 1978–1996, London 1996. 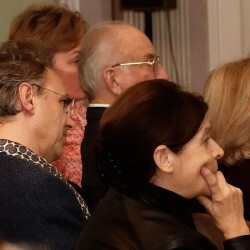 Stewart, Stanley: Shakespeare and Philosophy, New York 2010. 1 CV 1994: 96, 98. All references are to second bilingual edition, 1994, with facing pages of the German and English (e) text. But because Peter Winch’s 1977 translation is, to my mind, quite problematic, I have found it necessary sometimes to retranslate the German. Therefore, although the page references throughout this essay are those of CV, the wording may be somewhat different. 2 Altogether, there are seven manuscript entries on Shakespeare collected in CV 1994, all of them composed relatively late in Wittgenstein’s career. The first dates from 1939, two from 1946, the remainder, including the two above, from 1949–50. The notes range in length from a short paragraph to two pages; further scattered remarks are found in Wittgenstein’s letters or published conversations, but the total corpus is quite small. 3 Leavis 1983: 144. 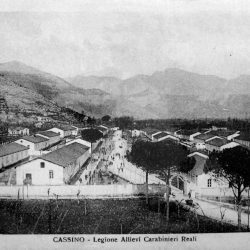 Cf. Harold Bloom’s suggestion that, if Wittgenstein had been better informed about Shakespeare, he wouldn’t have made his ill-advised and ‘annoyed’ comments on the transcendent ‘inventor of the human’ (Bloom 1998: 12). 5 Wittgenstein, CV 1994: 28; “Philosophie dürfte man eigentlich nur dichten,” and cf. Perloff 1996, 51–80; 2004: 37–38; 2011, chapter 31, passim. 6 See LW 1980: 35; PI 2009: 123, my italics. 8 CV 1994: 6. 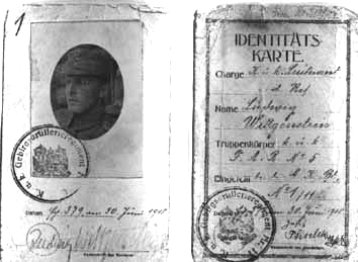 The passage in question is a key item in the soon-to-be published Wittgenstein’s Kringel-Buch, the compendium presented and edited by Josef Rothhaupt, collecting and annotating those notebook entries marked by Wittgenstein with a marginal Kringel (crossed circle), and that may, so Rothhaupt believes, constitute a book of literary/cultural remarks Wittgenstein intended to publish. See Perloff 2011, passim. 9 I treat this issue at greater length in Perloff 2012 and Perloff 2013. 10 “It may of course be,” Leavis admits, “that in German the range and quality of his literary culture was more impressive, but I can’t give any great weight to that possibility” (Leavis 1983: 144). But Leavis was wrong about Wittgenstein’s ignorance of English literature as well: in his Conversations with Wittgenstein, for example, M. O’C. Drury, for example, Wittgenstein cites Tristam Shandy (Drury 1984: 148), Samuel Johnson (Drury 1984: 109, 129), William Blake and William Cowper (Drury 1984: 164–65), James Joyce’s Portrait of the Artist as a Young Man (Drury 1984: 144). 11 In a 1948 notebook entry, for example, Wittgenstein writes, “Genius is talent in which character makes itself heard. For that reason, I would like to say, Kraus has talent, an extraordinary talent, but not genius” (CV 1994: 75). 12 For an account of this failed meeting, see Monk 1990: 119–20. 13 See Wittgenstein, CB 1980: 222, 22, 47, 48, 78 and CV 1994: 76. Cf. Perloff 2004: 38–39. 14 Goethe’s dates are 1749–1832. In Italy, the great literary period dates from the fourteenth century (Dante and Petrarch) through Renaissance Humanism, with marked decline setting in the seventeenth and eighteenth centuries. The situation of France, on the other hand, resembles England’s. There is continuity from the Roman de la Rose of the early thirteenth century to the present, with the proviso that France’s so-called ‘classics’ date from the seventeenth rather than the sixteenth century. 15 Drury 1984: 157. Lear seems, in any case, to be the exception to Wittgenstein’s dismissal of Shakespeare. In 1930, he attended a performance of Lear by the Cambridge University amateur dramatic society. He told Drury, “You should not have missed seeing this; it was a most moving experience. You need young players to perform this play: they can put the necessary passion in it. Coming away from the theatre I was so absorbed by what I had heard that in crossing over the street I was nearly run over by a taxi” (Drury 1984: 133). 17 See Bouveresse 1995, chapter 3 passim. 18 CV 1994: 78–79. My translation here is a composite of Peter Winch’s and Carol Cosman’s excellent translation of the passage in Bouveresse 1995: 119–20. An Exercise in Enlightenment: Why is the Wittgenstein Family of Interest to Us? Answering this question involves reflecting upon the broader goals of the Initiative’s project. Our central interests involve casting light upon the crises and conflicts that are typical of the hugely complex nature of the problems in a globalized world. We seek to develop holistic perspectives on the issues that in one way or another tend to overwhelm citizens in democratic societies today. Ours is thus an exercise in enlightenment. Vienna 1900, Wittgenstein’s Vienna, is particularly important to this project because the critical approach to modernity that developed around figures like Karl Kraus, Adolf Loos, Sigmund Freud, Robert Musil, to name just a few, has lost none of its relevance over the last hundred years. Indeed, the concept of reflective, self-critical Bildung that they advocated has become more important (and, if anything, rarer) in the meanwhile. The culture of enlightenment that was part and parcel of Wittgenstein’s Vienna had a social and material basis that is an essential part of the story. This is where the family enters the picture. Focus on the Wittgenstein family should help us to get hold of a presupposition of cultural growth on the basis of Besitz und Bildung. This often cited but scarcely understood phrase refers the idea that self-realization through the accumulation of wealth carried social responsibility with it. The Wittgensteins were, for all their uniqueness, typical representatives of Vienna’s “second society”, the elite, moneyed haute bourgeoisie, that formed a highly self-conscious oligarchy in Habsburg Vienna. This group was made up of some 200 financially interlocked and to a great extent socially intermarried families. Indeed, our modern conception of the nuclear family: father, mother, children and the immediate small circle of related siblings is misleading as a basis of comparison. 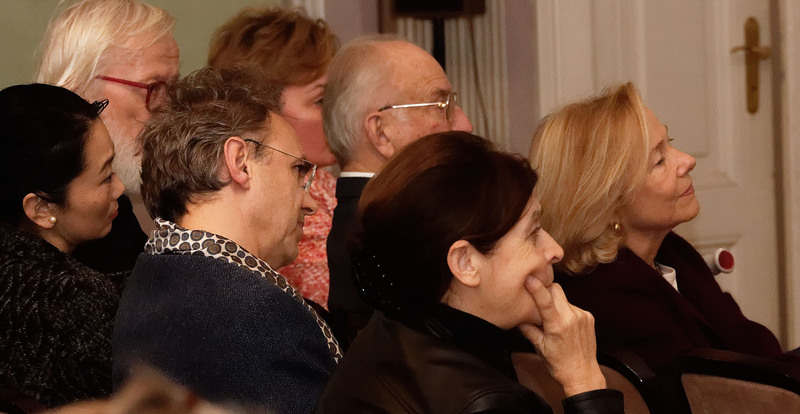 We have to make an effort to understand the Family as the Viennese “second society” once did. The upper middle class family, then, was a broadly related group of frequently multiply interrelated families, a family of families as it were. Thus the Wittgensteins were connected with the Franz family (leaders of the Protestant community) through more than one marriage. The same is true of their relationships with the Salzer family (one Salzer much concerned with his family was surprised earlier this year to realize that there was more than one Salzer connection in the Wittgenstein family). In referring to the Anglo-Jewish gentry this large scale agglomeration of relationships is sometimes referred to as a “cousinhood” (we also need to say something about the peculiarities of its Jewishness below). The term is appropriate here. It is the cousinhood that is interesting to the Wittgenstein Initiative in the plurality of its cultural achievements and not merely its individual members. Surely Ludwig, Paul, and Gretl are extraordinary figures pure and simple but as we look to the cousinhood such figures seem to be everywhere. In order to see that we have to go back in time two generations to Jewish emancipation (such as it was in 1848). Granddad Hermann Christian Wittgenstein was anything but a parvenu. He was born into the European Jewish elite, the so-called Hofjuden, who had financed Christian monarchs from time immemorial, in the way that the more famous Rothschilds and Montefiores had done. When he came to Vienna shortly after freedom of movement was permitted in the monarchy in the wake of the 1848 Revolutions, his circle of friends was positively extraordinary – far beyond anything his son Karl would achieve. It included the dramatist, Friedrich Hebbel, the astronomer Carl Ludwig von Littrow, the physiologist Ernst von Brücke and the philosopher-philologist, Hermann Bonitz. Little wonder that he would marry Fanny Figdor, daughter of one of Central Europe’s biggest bankers. She would befriend her cousin Joseph Joachim and his colleague Johannes Brahms would practically become part of the family too. One of Fanny’ sisters, Emelie, would marry Michael Hainisch, later president of Austria. Two other Figdors would also place their unmistakable stamp on Viennese culture: Albert, who was one of the most monumental and systematic art collectors who ever lived and Wilhelm, who would found the Vienna Vivarium, one of the first centers for biological research worldwide. When Karl Wittgenstein ceased playing the Prodigal Son, he married Leopoldine Kalmus, whose accomplishments as a pianist and deep concern for musical culture made her salon into the center of Viennese musical life. Leopoldine’s “cousins” Edwin and Alfred Kalmus became among the most prominent music publishers of their generation. The examples could be multiplied again and again. The question of the Jewishness of the Wittgensteins – and the other families of the grand bourgeoisie – is one which inevitably comes up in discussion today (see Steven Beller’s classical study Vienna and the Jews 1867-1938). It is not easy to answer and many people are unhappy at the lack of clarity in this complex issue. Most people in this social strata had long ceased to practice Judaism by the turn of the century, if not long earlier. Many had become Protestants; some Catholic. One of the most prominent “assimilated” Jews Lazar Auspitz summed up their attitude as well as it can be: Judaism was “un pieux souvenir de famille.” These people were descendants of the followers of Moses Mendelssohn, the father of the Jewish Enlightenment, for which science and culture came to replace religion. They did not see themselves as Jews and were even occasionally capable of producing hostile critique of traditional encrusted “unenlightened” Jews. Little wonder that the first reaction of Hermine Wittgenstein and Helene Wittgenstein-Salzer at being told that they were subject to the Nuremberg Laws was dismay. Be that as it may, what is important for the Wittgenstein Initiative is how the values of the Enlightenment came to pervade this cousinhood and in doing so helped to form our culture. Prof. Dr. Allan Janik is Emeritus Professor of Cultural History and Philosophy at the universities of Vienna and Innsbruck and the Royal Instituten of Technology in Stockholm. 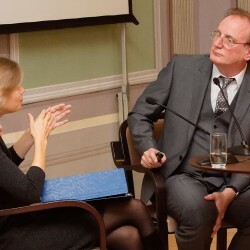 He specializes in the cultural history of modern Austria and in philosophy. Together with Stephen Toulmin, he wrote Wittgenstein’s Vienna (1973).